Presidents Prize; Mattie Bourke and Kathleen Maher were the 2018 President Prize Winners. After a very successful turn out on Friday evening at 3pm. and a great weather start, unfortunately the weather suddenly changed to heavy downpours. Most of the players had to retire to continued playing on Saturday. Refreshments were served to those in-need and all remained in a very positive mood to continue on Saturday. President Phil Ryan thanked all that braved the elements and looked forward to better weather on Saturday. 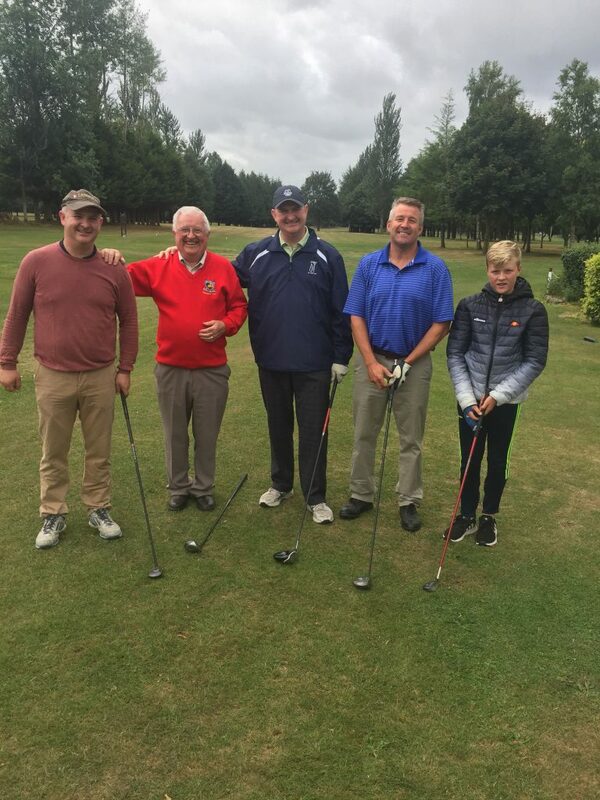 Phil had a great family golf presence with 3 generations of golfers, Phil Jnr., Ger who came all the way from NY, Son in-Law Eamon Wash and Grandson Ned Walsh. Saturday AM started with a great turn-out of players. The weather was overcast but turned to some nasty showers including hailstones and later on the day was sunshine for the Ladies. Refreshments were made available by the Ladies, thanks to Maura Sheehan and Josie Moloney. Also complements to Marian Keely and Claire Bohan in the purchase of Prizes both Ladies and Gents and the beautiful arrangements in the Club Lounge. Presentation of Presidents Prizes on Saturday night; President Phill and Bernie made a grand and welcome entrance to the prizegiving and social night in the Templemore Arms on Sat. 28th. July. Competition Secretary Liam Leahy master of ceremony started the procedure by welcoming all to the event and introduced Lady President Bernie Stapleton to address all. Bernie paid great tribute to all the Ladies for their support over the year and especially all that helped in making this weekend a successful event, also to all the volunteers in having the course in such a great condition. Bernie also paid tribute to the Lady winner Kathleen Maher in her great achievement in winning the 2018 Ladies Captain Prize. Lady Competition Secretary Josie Moloney then proceed with the announcement of the Ladies Prize winners. Ladies President prize 2018; Kathleen Maher. 2nd. Mary Hayes. 3rd. Mary Ann Maher. 4th. Sara Hearne. 5th. Josie Bourke. 6th. Kay Brennan. 7th. Sadie Tynan. 1st. nine. Ann Kenny. 2nd Nine. Mary Ryan. 9.Hole Ladies. 1st. Breda Murphy. 2nd. Marian Keely. 3rd. Mary Moore. The baton was then pass onto President Phillip Ryan for his address and commenced with a warm welcome to the great attendance. He paid great tribute to all of his family and especially to his son Ger who travelled from New York to attend the event. Also a great honour to Templemore golf Club to have the President of the GUI John Moloughney in attendance. Phil thanked the Course Manager Liam Leahy, and the greenskeeper John Alaxandra and all the volunteers for their excellent work on the having the course in such a great condition. Phil also mentioned the need for all the members to promote this wonderful competitive course and the asset it is to the youth and the town of Templemore at every opportunity now that there is a firm verbal commitment that the future of Templemore Golf Course will be secured. He concluded by congratulating all the winners of the 2018 President Prizes. Competition secretary Liam Leahy then commenced with the presentation; The 2018 President Prize Winner was; Matty Bourke; 2nd. John Mullaly. 3rd. Mick Connell. Gross; Ciaran Hassett. 20+ Tommy Foley. Front 9, Martin Bohan. Back 9, Michael Webster. A great night was enjoyed by all with Music, Dance, Raffles and Song into the early hours. Best of luck to the JB Carr Team; The next leg of the Munster Final will be against Mahon Golf Club in Cork, another 18hole prestigious Club . The dates are as follows: Away Game; Wed. 1st August, and Home Game; Friday 10th August, with a 2pm start on both days. Juvenile Golf Lessons Update; There will be no Juvenile Golf Lessons on Friday 3rd. July. The next lesson will be on Friday 10th. Aug. All Juveniles are encouraged by the Club Juvenile Officer Pat O’Connell to continue playing over school breaks and the summer months. Any information required or those who would still like to enrol, contact Pat O’Connell 087 9205821. Sunday Competition Winners: Another great turn out for this Saturday 21st. and Sunday 22nd. 18hole Stableford. The Winners were; 1st. Martin Bohan, 2nd. Tommy Murphy (Juvenile), 3rd. John Hassett. All members are requested to make a great effort to participate in this week-end Golf competition. 50 Years of Golf in Templemore; PJ requested that all members past and present to dig deep and search their achieves for any memorabilia that they can find. Old photos, sayings, and good banter from the past that can be resurrected to make this project successful All will be appreciated and returned as received after the process. Away scores; The “Away” Score recording sheet for “Qualifying”, “Non-Qualifying” , “Society”, “Fourball” and “Team Events” is now receiving great attention. The club handicap Secretary John Greed has expressed that all members playing away or in other societies to record their score on this sheet. This is a very important request as it is part of the “Golf Ethical” for calculating accuracy on handicap ratings. Green Fee; The Green Fee for 2018 is now €10 for 9hole or 18 hole. 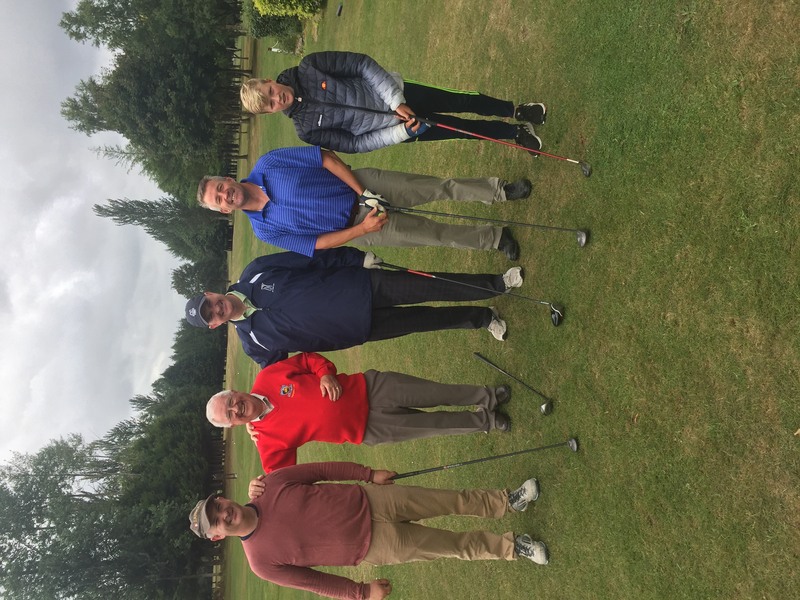 Playing Golf on Templemore 9 hole Golf Course has its advantages; A magnificent Golf Course to test your golf skills as it tested the best of Tipperary and Munster prestigious clubs in the JB Carr tournament. Templemore Golf Course is available to all golfers, especially to those that want to return to the game also to members and non-members and members from other clubs to get in your practice rounds, beginners, Active Retiree’s and families who want to take up the sport will get assistance from any committee member, (refer to web site for committee member list) here are some positive reasons for golfing in Templemore Golf Course; Golf can be good for your health and your heart. Walking an average course for a round of 18 holes of golf can be between five to seven kilometres. If you walk 18 holes three to five times a week, you’ll get an optimal amount of endurance exercise for your heart. If you pull your clubs or carry them, you’ll burn even more calories each round and benefit even more. Playing golf regularly can help you: Stay fit, Improve muscle tone and Endurance, Lose weight and body fat. Golf can also be a great way to keep in touch with friends, help in reducing stress as a result of the physical activity and also due to the pleasure of walking in an open and natural environment, provide opportunities to meet new people, help develop a sense of community connectedness. Golf can be a very social and enjoyable sport. While you compete against others, you can also compete with yourself to better your previous best score. 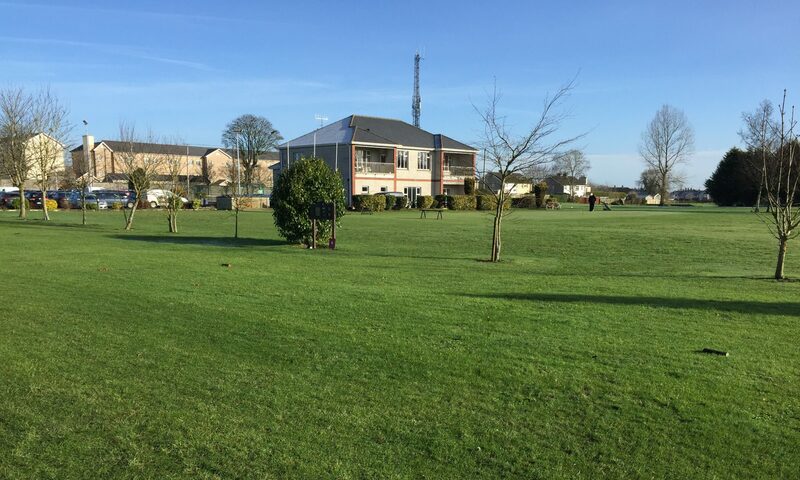 Templemore Golf Course provides Good Social occasions, Presentation Nights, Social Mixed, Senior Events and Away Trips. The Handicap System allows members of different abilities an equal chance of winning. Various Category of Memberships are available at different rates. (Membership option rates are on our web site). Full Annual Membership €350 = Approximately, only 95c. per day. New members are the lifeline of the club, so all existing members are encouraged to tell all your friends to take up membership and test their skills on this challenging Golf course. Registrations Forms for new members are now available on-line on our web site, or at the club house or contact Martin Bohan 087 0509278 or any of the committee members. All are welcome. Additional Members Lady and Gents; All current members are encouraged to introduce at least “ONE NEW MEMBER” Lady or Gent, Junior or Student, Senior or Family, Active Retiree’s or any person interested in taking up the sport. It will be a huge advantage to building the club membership and profile. The Seniors; The Seniors is a fantastic event for retired golfers to return to the game with like-minded golfers. If you are over 55 or retired, from any distance or Club you will be more than welcome. Results are as follows for Thursday, 26th. July. ; 1st. Sean Lee, Paddy Nolan, P.J.Leahy, Ollie Murray. 2nd Team; Tom McGrath, Seamus Ryan, Tom Hogan, Mick Connell. 3rd. Team; Pascall Whelan, Mick Murphy, Mick Webster. Best of Luck; The best of luck was extended by all seniors to Phil Ryan and Bernie Stapleton on their president Prize week. Also to the JB Carr team on Wed. 1st. in the next leg of the Munster Final against Mahon Golf Club. Next Seniors on Thursday 2nd. Aug.
LMC; The next outing is on Monday 30th, July in East Clare Golf Club, Bodyke, Interesting to see how Frankie Shortt who won in Class 1, in Ballinasloe on 16th. July. Also the Templemore Golf Club Seniors that are currently in the top 12 placings are; Pat O’Connell 185, Liam Daly 176, Bertie Keane 178. A space to watch. Best of luck to all and continued success. 4th and 5th. Aug. 18h S/F. 11th. and 12th. Aug. 3T’s Qualifying. 11th. and 12th. Aug. 18H S/F. 18th. and 19th. Aug. 18H S/F. 24th, 25th, and 26th. Aug. Ladies and Gents Captain Prize. 1st. and 2nd. Sept. 18H. S/F. 8th. and 9th. Sept. GOY 18H Stroke. 15th. and 16th. Sept. Vice Captains. 22nd. and 23rd. Sept. 18H S/F. 29th. and 30th. Sept. GOY 18H Stroke. Sept; Club Classic. Date TBC. 6th. and 7th. Oct. 18H S/F. 13th. and 14th. Oct. 18H S/F. 20th. and 21st. Oct. GOY 18H S/F. 27th. and 28th. Oct. W/D Soc 18H S/F. Adopt a Bunker Project; Adopting a Bunkers is helping to keep the course in great shape. Put your stamp on any bunker you feel that you can commit to looking after and resulting in the presentation of the course to a high standard.